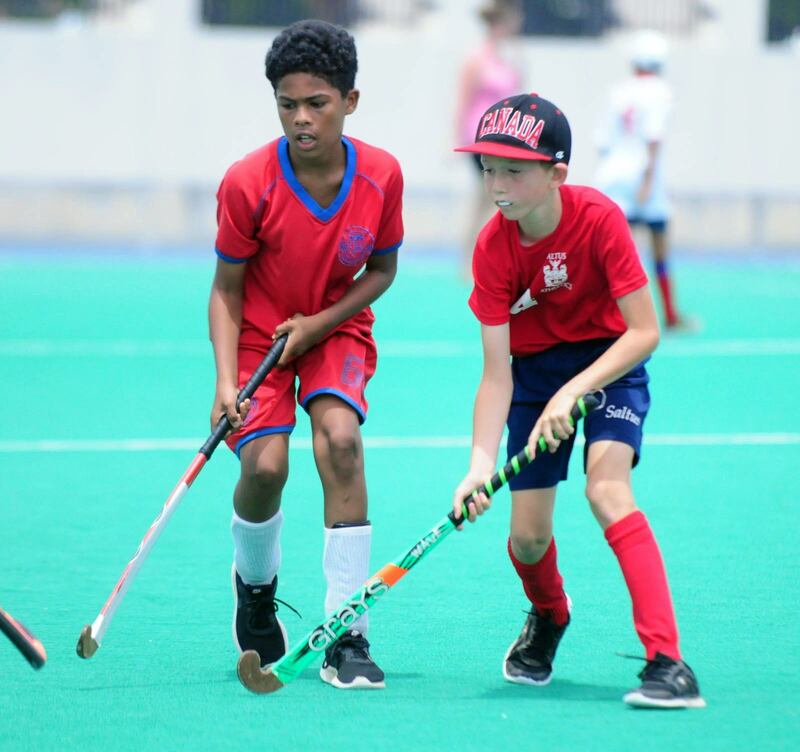 Saltus Grammar School won both titles at the Bermuda School Sports Federation Primary School Boys Hockey Tournament at the National Sports Center. A sudden death overtime goal from Zackary McGuire helped Saltus lift the A Division title with a 2-1 win over rivals Warwick Academy. Nayan Grant had given Warwick an early lead in the final before Nick Southern tied the game up late in regulation time. McGuire then stepped up to score the winner with a long range effort which the defender couldn’t keep from the back of the net. It was Warwick who needed to come from behind to win their Semi-Final over Gilbert Institute. Zachary Brown gave Gilbert an early lead before Warwick scored twice in the last two minutes to seal a final berth. Warwick goals came of the sticks of Grant and Xavi Derosa. Saltus had a much easier path to the final after defeated East End Primary 4-0 in their Semi-Final. James Morrison led Saltus with 2 goals while Essien Binns and McGuire added one each. All of the Semi-Finalists cruised past their opponents in the Quarter-Finals with shut out victories. Saltus Whites cruised to the Gold Medal in the B Division. A six team round robin format was used to determine the B Division champions. Saltus cruised to the title with four wins and a draw. Saltus had a 5-0 win over Harrington Sound, 3-0 over Gilbert, 3-0 over Saltus Reds and 3-0 over Somersfield Academy. Their only blemish was a 0-0 draw with runners up Warwick Academy. Warwick got wins over Somersfield (2-0), Harrington Sound (4-1) and Gilbert (5-0). Saltus Reds did their Schools mate a favor by drawing 1-1 with Warwick and securing the title for Saltus Whites.